“Never thought of a draw at any stage. Last night I told the boys we will chase any target they set us. I was confident that I could do it. 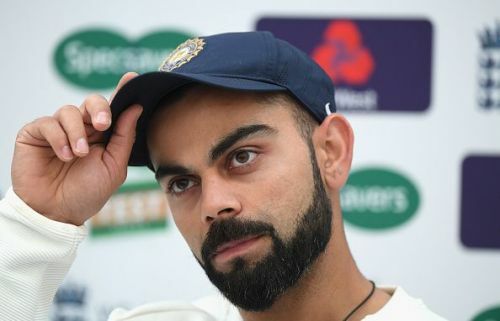 I only needed support.” These were the words of young skipper Virat Kohli post his heroic century in the fourth innings of the Adelaide Test against Australia in 2014. Result: India lost. Coach Ravi Shastri and skipper Kohli are certainly on a mission. It is to make this India team “the best travelling” side in the world. For the moment, Kohli & Co are winning the occasional battles but they end up losing the war. There is “no negative” bone in this Indian unit, according to Shastri, and it’s great to have such an attitude and it was the play-to-win approach in Tests that made Steve Waugh’s Australian side, the best of the 2000s. However, one of the key traits of a few successful Indian teams of the past under the likes of Sourav Ganguly and Rahul Dravid on overseas soil was their ability to draw Tests from the verge of defeat. How can a draw help win series overseas? 2002: India in England 1-1: Defeat at Lord’s, Parthiv Patel and Zaheer hang on as India draw the second one, India win at Leeds and fourth Test ends in a draw. 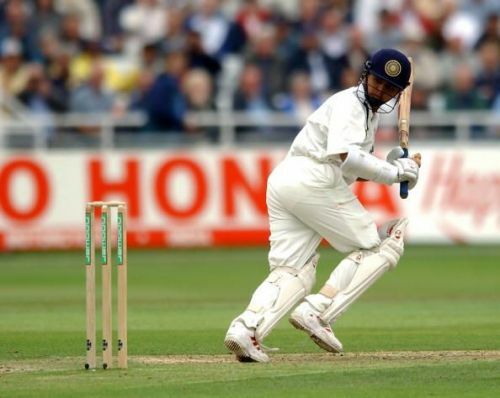 2003-2004: India in Australia 1-1: Ganguly leads India to draw, Dravid, Agarkar help India win, Australia fight back at Melbourne and Sachin bats Australia out of the Test ensuring India don’t lose. 2006-2007: India in West Indies - 1-0 win: Three hard-fought draws and then came the win at Kingston. 2007: India in England - 1-0 win: Dhoni hangs on with the tail for 20 overs and ensures bad light saves them, India win the second at Nottingham and draw at The Oval. 2007-2008: India in Australia - 1-2 loss: Minus poor umpiring, results could have been different! 2008-2009: India in New Zealand - 1-0 win: India won at Hamilton but had to bat two days to save the second Test. Gautam Gambhir bats 436 balls and 643 minutes alongside Dravid, Tendulkar and Laxman to pull India out of trouble, the third Test ends in a draw. 2014-2015: India in England 1-3 loss - India drew at Nottingham, ending up losing after taking the lead in Lord’s. 2014-2015: India in Australia 0-2 loss - A sensational effort from Kohli to do the unthinkable but then at the end of it all it’s a loss! India was always Australia's final frontier. When they finally won in India in 2004, it was a lucky draw in Chennai that helped them win the series 2-1! Indian teams of the past have found ways to save Test matches from hopeless situations. This side under Kohli aspires to win every match and has the bowling unit to pick 20 wickets. But can they bat five sessions in every condition? Can the bowling unit clean up the lower-order? Former Australia keeper Adam Gilchrist, who was part of the 'win all Tests attitude' Australian team, explained how the Aussies changed their "attacking mindset" when they came to India in 2004 and reaped success. "We couldn't win in India. We got close in 2001. I think the key is learning from those failures. We came in 2004 and really changed our mindset and didn't attack like we normally do," Gilchrist said. One can't always walk into the field thinking of a draw. That's negativity. But when the conditions aren't suitable for batting, then one has to try that much harder and bat for long. 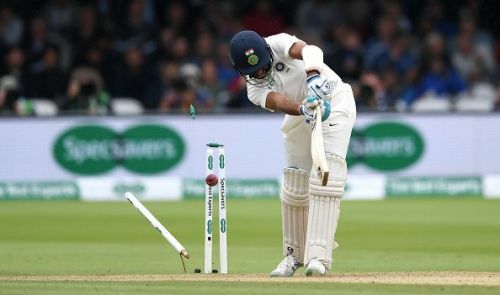 The conditions in the second Test at Lord's weren't certainly great when India batted but lasting less than 36 overs isn't what is expected from a No 1 side. Over aggression at times backfires. Under captain Kohli, it’s either victory or defeat. You win under four days or lose in four days. Kohli’s captaincy record (before the fifth Test): 39 Tests, 22 wins, 8 losses, and 9 draws. Most of the wins were at home. And seven of the eight losses have come abroad. Most of the draws were either due to rain or the opposition have handled the pressure of the final day better than the Indian bowlers highlighting India's inability to drive home the advantage. Example: West Indies batted more than 100 overs in the last innings to save a Test. Even at home stretch in 2017, Sri Lanka survived the last day to draw a Test. Only twice under Kohli have India drawn a Test batting last. 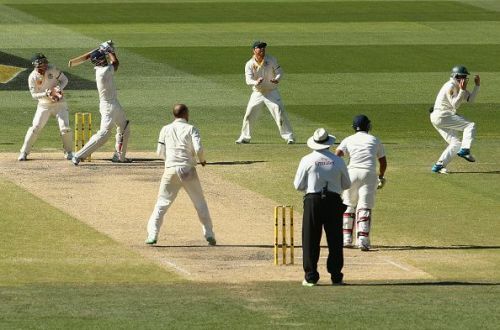 Once in Sydney 2014 and other against England in the first Test at Rajkot in 2016. To their credit, Kohli and Co have beaten Sri Lanka twice in their own backyard. Once they came from behind and later they blanked Lanka 3-0. They won in West Indies 2-0. They won in South Africa on a difficult pitch. But what about winning series in England, Australia and South Africa? Isn’t that a bigger challenge than beating Sri Lanka and West Indies who have their own struggles back home. Kohli & Co win because they have bowlers to pick 20 wickets in all conditions but they lose outside India because their batsmen don’t play five sessions in a single innings consistently. But what did Kohli state after a day against New Zealand in 2016: “Pujara is someone who absorbs the pressure really well but after a certain stage in the innings there comes a time when the team needs few runs in those situations. That's where we felt that he has the ability to capitalise. It was just about conveying that to him. He has worked hard on his game.” Strike-rate concerns in Test cricket? "Perhaps there are signs of the amount of limited-overs cricket and now T20 cricket just creeping in as a general statement to some of the batting and lack of ability to bat long period of time. During our time, there were a lot of three and four day Tests but it goes back to McGrath, Warne, Lee, Gillespie...there were high-quality opponents. It's (batting time) an area all nations will be aware of and will be trying to enhance the mindset of batting for long period of time rather than just going flat out," Gilchrist added. Let the Test specialists be what they are: batting time. But the same mistakes were repeated post the third Test win. Irrespective of whether India can draw the fifth Test on the final day or end up losing 1-4, Kohli and Co need to understand the art of batting time, which could result in drawing Tests or in other words would ensure they don't lose, overseas if they are to stay in contention. Not all days will be yours in Test cricket. There will be situations where resolute defending will be the only solution and there is no shame in doing it. The challenge is to live today only to fight tomorrow. A 2-1 series win in a five-Test series is far better than 1-4 series defeat. From the outside, one feels that this Indian team wants to only win Tests and that there is no draw in their dictionary. And such an approach would mean that they could well get beaten within three days when conditions don’t favour them which is mostly the case overseas. Kohli has certainly won his battle against James Anderson but India have lost the war. It's definitely important to follow the 'process' but 'series results' too matter. After all, 10 years down the line, the scoreline is all that stays in the memory of a common man. Number Nuggets- How good are Kohli, Pujara and Rahane compared to Tendulkar, Dravid and Laxman?